Mexico signed the New York Convention on 14 April 1971, which entered into force on 13 July of that same year. No declaration or notification was made under articles I, X and XI of the Convention. the Inter-American Convention of Extraterritorial Validity of Foreign Judgments and Arbitral Awards (Montevideo Convention), which entered into force in 1987. Mexico recently signed the Convention on the Settlement of Investment Disputes between States and Nationals of Other States (the ICSID Convention). This treaty entered into force on 26 August 2018. Mexico is also a signatory to important treaties with investment provisions, such as the North American Free Trade Agreement between Canada, the United States and Mexico (NAFTA), the Mercado Común Sudamericano and the Additional Protocol to the Framework Agreement of the Pacific Alliance. As it has been widely reported, NAFTA has been subject to renegotiation by the United States, Mexico and Canada. On 20 September 2018, these countries announced the completion of negotiations. The result is the United States-Mexico- Canada Agreement (USMCA), which also, like NAFTA, incorporates an investor-state arbitration regime. Currently, Mexico is a signatory of 33 bilateral investment treaties (BITs), of which 30 are currently in force, and three have not entered in force but have already been signed (with Brazil, Haiti and the United Arab Emirates). Arbitral proceedings and the recognition and enforcement of awards are governed by the provisions found in the Fourth Title, entitled ‘Commercial Arbitration’, of the Fifth Book, entitled ‘Commercial Trials’, of the Commerce Code. These provisions apply to both domestic and international arbitrations. The Commerce Code was amended in 1993 to incorporate the United Nations Commission on International Trade Law (UNCITRAL) Model Law (the Model Law) of 1985 as Mexico’s arbitration law, with only a few minor modifications. In 2011, the Commerce Code was amended again to incorporate some of the 2006 amendments to the provisions of the Model Law. There are three significant differences between the provisions of the Commerce Code and the Model Law. The first one refers to the number of arbitrators if there is no agreement between the parties. The Model Law states that three arbitrators must be appointed in this case, whereas the Commerce Code requires only one arbitrator. The second one refers to interim relief requested to a court. Under the Commerce Code, a complete expedited bench trial is necessary to obtain interim relief from a court. However, the federal courts have interpreted that preliminary protective measures may be granted when admitting the request, so that this preliminary relief can later be confirmed with the judgment resulting from the expedited bench trial. The third difference refers to the formalities required for the existence of the arbitration agreement. Contrary to the Model Law of 2006, the Commerce Code states that arbitration agreements must be done in writing. There are no mandatory domestic provisions on procedure that the parties must follow. The only limit is that parties must be treated with equality and given a full opportunity to present their case (article 1434 of the Commerce Code). Also, the limits of what the parties can agree on, and the arbitral tribunal’s power to render an arbitral award, derive from the provision of the Commerce Code regulating the grounds for annulment of the arbitral award, which mirror those established in the UNCITRAL Model Law. Parties to an arbitration agreement may decide freely on the law applicable to the merits of the case. If the parties have not reached an agreement in this regard, the arbitral tribunal must determine the applicable law, taking into account the characteristics and elements of the case (article 1445 of the Commerce Code). In its determination, the arbitral tribunal is not required to apply the conflicts of law rules in force in Mexico (article 1457). There are three arbitral institutions situated in Mexico. the fee for arbitrators and the institution are determined based on the amount in dispute. A noteworthy particularity - as inferred from its title - is that this arbitral institution specialises in construction disputes. The Centre was recently created. under article 227 of the Industrial Property Law, parties may only submit a dispute to arbitration where the controversy exclusively affects private rights. If the dispute concerns a public interest, then it is not arbitrable. Article 1423 of the Commerce Code states that the arbitration agreement must be in writing and included in a signed document or in the exchange of letters, telex, telegram fax or any means of telecommunication that leaves a record of the agreement. Under article 1834-bis of the Federal Civil Code, the use of electronic communications is permitted. The existence of an arbitration agreement can also be determined by reference to a document that contains an arbitration agreement or, within a trial, if the claimant states the existence of the agreement in its complaint and the respondent does not deny it. the subject matter of the agreement is not arbitrable. Article 1432 of the Commerce Code states that an arbitration agreement included in a contract shall be treated as an independent agreement. Therefore, a ruling stating that a contract is null and void does not entail the invalidity of the arbitration clause. In this respect, the Commerce Code provides for the separability of the arbitration clause principle in a very clear manner. acquisition of shares of simplified stock companies (under the Federal Civil Code, the Commerce Code and the General Law on Business Corporations). There is no uniform criterion on whether non-signatories can be bound to an arbitration agreement in other situations. To the authors’ knowledge, Mexican courts have not ruled on the matter either. The Commerce Code does not provide specific rules on the joinder of third parties to the arbitral proceedings. This depends on the arbitration rules chosen by the parties. There is no restriction as to which arbitration rules the parties may agree on. Under the Commerce Code, there is no specific statutory law provision allowing the groups of companies doctrine to be used to extend an arbitration agreement to non-signatory parties and, to the authors’ knowledge, this subject matter has not been analysed by Mexican courts. However, Mexican courts have recognised the possibility of piercing the corporate veil in certain circumstances. The reasoning under this doctrine may be applied by analogy to the groups of companies doctrine. Multiparty arbitration agreements are not provided for in the Commerce Code. However, it is possible for these agreements to be executed between the parties (for example, article 16 of the CAM Rules of Arbitration foresees the possibility of the existence of multiple parties and address the subject of joint nomination of arbitrators). Any person with full legal capacity can act as an arbitrator, provided there is neither a specific requirement agreed upon between the parties to the contrary, nor a situation that indicates a lack of impartiality or independence (article 1428 of the Commerce Code). To the authors’ knowledge there is no case law ruling that an agreed restriction based on nationality, religion or gender is unlawful or in breach of the Constitution. Practising lawyers are usually appointed to act as arbitrators. Also, it is not uncommon for law professors to be appointed. Non-lawyers are very rarely appointed. Pursuant to the Mexican Constitution, judges and justices, their secretaries and the members of the Council of the Federal Judiciary cannot be appointed as arbitrators. Former members of the Judiciary are able to act as arbitrators, but their appointment is uncommon. There is a strong tendency for encouraging gender diversity in the appointment of arbitrators. Also, it is common for women to act as arbitrators in the Mexican arbitration forum. Under article 1427 of the Commerce Code, if there is no agreement on the number of arbitrators, the proceedings shall be conducted with one arbitrator. In the case of a sole arbitrator, absent an agreement between the parties, said arbitrator will be designated by the judge at the request of any of the parties. In cases with three arbitrators, each party will designate an arbitrator, and the third arbitrator will be chosen by the arbitrators appointed by the parties. If one of the parties does not designate an arbitrator within 30 days of being required to do so, or if the first two arbitrators cannot reach an agreement 30 days after they are appointed, the judge shall make the appointment. If the judge is required to appoint an arbitrator, after hearing the opinion of the parties and requesting various arbitral institutions, colleges of public commercial notaries, chambers of commerce or industry for information on arbitrators, the judge must make a list of possible arbitrators. This list is sent to the parties who, within 10 days, will choose the candidates they consider suitable. Afterwards, the judge will appoint the members of the arbitral tribunal from the chosen candidates. Regarding the rules of arbitration of domestic institutions, absent an agreement of the parties, the appointment of arbitrators under the Rules of CAM and CANACO is as follows. If there is no agreement on the number of arbitrators, the proceedings shall be conducted with one arbitrator. Sole arbitrators shall be appointed by the general council of the institution within 30 days of the date when the request for arbitration notified by the secretary general has been received by the respondent. On proceedings with three arbitrators, each party will designate an arbitrator, leaving the appointment of the chair to the general council. If a party fails to designate an arbitrator, the general council shall appoint him or her. If there is no agreement on the number of arbitrators, the commission of the institution shall determine it. Sole arbitrators will be appointed by the commission, discretionally determining if he or she should be appointed from a list. On proceedings with three arbitrators, each party will designate one, leaving the appointment of the chair to the commission, which will discretionally determine to appoint him or her from a list. If a party does not make a designation of an arbitrator, the arbitrator shall be appointed by the commission. Challenges of arbitrators must be grounded on circumstances that give rise to justifiable doubts as to their impartiality or independence, or on their lack of the qualifications agreed by the parties. Parties who wish to challenge an arbitrator shall inform the arbitral tribunal within 15 days of its constitution of the circumstances giving rise to the challenge. The arbitral tribunal shall rule on the issue, unless the challenged arbitrator renounces, or the other party consents to the challenge. If the challenge is unsuccessful, the challenging party has 30 days to bring the claim before a judge. If an arbitrator is removed or resigns for any reason, a substitute arbitrator shall be appointed according to the same procedure used to appoint the original arbitrators. It is common to use the IBA Guidelines on Conflicts of Interest in International Arbitration when arguing the specific circumstances for the challenge of an arbitrator. Party-appointed arbitrators must be impartial and independent. The failure to meet those characteristics constitutes a ground for a challenge. The contractual relationship between the parties and the arbitrators is understood as a professional services agreement. Under article 1454 of the Commerce Code, their remuneration and expenses are determined by the arbitral tribunal itself, on the basis of the complexity of the dispute, time spent and other relevant circumstances. It is possible for a party to ask a judge to make observations on the remuneration and expenses determined. Under article 1480 of the Commerce Code, an arbitral tribunal can be held liable for any damage arising from the granting of an interim measure. This liability is shared with the party that requested it. Other than this, there is no express provision in the Commerce Code regulating the liability of arbitrators regarding the rest of the arbitral proceedings. Any institutional rule of arbitration granting immunity to the arbitral tribunal is valid under Mexican law except if the arbitrator has acted with malice. Courts have enforced immunity rules established by different arbitral institutions. If a party considers that a court has no jurisdiction over a dispute because of the existence of an arbitration agreement, it may request the referral of a dispute from court proceedings to arbitration, in order for the arbitral tribunal to determine its own jurisdiction (articles 1424 and 1464 of the Commerce Code). This request must be done alongside the first writ on the merits the requesting party files (article 1464, section I of the Commerce Code). If the judge finds grounds for this request, he or she will immediately stay the judicial proceedings and refer the parties to arbitration. It is not possible to file an appeal against this decision; however, the opposing party could file an amparo claim (constitutional protection legal action). The arbitral tribunal itself must determine whether it has jurisdiction over a dispute, including any claims over the existence or validity of an arbitration agreement (article 1432 of Commerce Code). The parties have until the answer to the statement of claim to challenge the jurisdiction of the arbitral tribunal. The arbitral tribunal can decide to resolve this issue either right after it has been requested, or afterwards, when rendering the award. If a decision in this regard is determined before the rendering of the award, parties have 30 days to bring the matter before a judge for a final determination. Failing prior agreement of the parties, the arbitral tribunal shall determine the place and language of the arbitration by taking into account the relevant circumstances of the case and the interests of the parties (articles 1436 and 1438 of the Commerce Code). Domestic arbitration law does not regulate the request for arbitration, or specify the moment in which the arbitration is considered initiated. CANACO: article 3 states that the arbitral proceedings are deemed to have started on the date the request for arbitration is received by the commission of the institution. The arbitral tribunal will determine whether hearings for the submission of evidence or the presentation of oral arguments shall be held (article 1440 of the Commerce Code). There are no specific rules regarding conducting hearings. CANACO Rules: prior to request by any of the parties and in any moment during the proceedings, the arbitral tribunal will hold hearings for the submission of evidence or the presentation of oral arguments. If said request is not made, the tribunal can still determine whether the hearings are to be held. The Commerce Code states that the parties shall submit all the relevant facts, disputed points and claims in their respective initial submissions. At the same time, they shall provide all documents or evidence they deem relevant to the case. The arbitral tribunal can appoint any expert it finds necessary. The tribunal may also order any of the parties, if necessary, to provide documents or information to said experts (article 1442 of the Commerce Code). Both arbitrators and parties tend to apply the IBA Rules on the Taking of Evidence in International Arbitration. assistance with the removal of an arbitrator. The Commerce Code does not regulate confidentiality in arbitral proceedings. Nevertheless, in practice, parties tend to agree on the confidentiality of the proceedings, in either the arbitration agreement or by means of the rules of a specific arbitration institution. At any moment before or during the arbitration proceedings, the parties have the right to request interim measures from the competent courts (article 1425 of the Commerce Code). The court has complete discretion to grant whatever interim measures it deems appropriate for the case (article 1478 of the Commerce Code). If the interim measure is granted before the arbitration proceedings have been initiated, there is no specific provision establishing that it will cease to have effect once the arbitral tribunal is constituted. In addition, there is no specific provision regulating whether the arbitral tribunal has the authority to modify or revoke the interim measures granted by the court. Mexican law does not provide for - or prohibit - the possibility of appointing an emergency arbitrator prior to the constitution of the arbitral tribunal. Therefore, this depends on the arbitration agreement and the provisions of the applicable arbitration rules selected by the parties. Under the rules of CANACO and CAM, it is possible to request the appointment of an emergency arbitrator. According to the CANACO Rules of Arbitration, unless otherwise agreed by the parties, the party that seeks provisional relief can file a request before CANACO’s Arbitration Commission prior to the constitution of the arbitral tribunal. Within the following business day, the Arbitration Commission appoints an interim arbitrator, who will have the power to order any interim measure of protection or preliminary order deemed necessary, after giving a reasonable opportunity to all parties to be heard (article 50). The Commission is an administrative organ within CANACO. In the same vein, according to the CAM Rules of Arbitration, the party that requires an urgent conservatory or interim measure before the constitution of the arbitral tribunal may file a motion before the secretary general. Once the motion is filed, the general council appoints an emergency arbitrator, who, after ensuring each party had a reasonable opportunity to present its case, may order any interim measure he or she deems appropriate (article 30-bis). Mexican law establishes that, at the request of either party, the arbitral tribunal is entitled to order any interim measures it considers necessary to preserve the subject matter of the dispute (article 1433 of the Commerce Code). However, the parties can agree to exclude this possibility in the arbitration agreement or at any moment during the proceeding. The arbitral tribunal has a discretional power to request the presentation of a guarantee or security that is sufficient to cover any damages arising from the enforcement of the interim measure. Regarding court assistance, the interested party may initiate a commercial action to request the enforcement of the interim measures granted by the arbitral tribunal, which are considered binding (article 1480 of the Commerce Code). Under Mexican law, there is no specific provision allowing the arbitral tribunal to order sanctions against parties or their counsel. The CANACO Rules of Arbitration and the CAM Rules of Arbitration have no applicable provision either. If the seat of the arbitration is Mexico neither the arbitral tribunal nor the arbitral institution would have the authority to order sanctions against parties or their counsel, even for gross violations of the integrity of the arbitral proceeding. 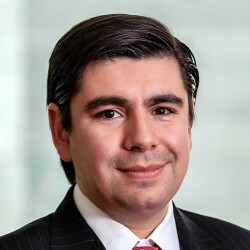 In practice, arbitral tribunals in Mexico usually take into consideration the use of guerrilla tactics during the proceeding when assigning the costs in the final award. Under Mexican law, unanimous votes are not required and arbitral tribunals can take decisions by a majority of votes. Furthermore, the president of the arbitral tribunal can decide procedural issues on his or her own. This, of course, is unless the parties agree otherwise (article 1446 of the Commerce Code). There is no specific provision on dissenting opinions to the award in the Commerce Code. However, considering they are not prohibited, the possibility to issue a dissenting opinion will depend on the arbitration agreement and the arbitration rules applicable to the proceedings. Dissenting opinions in arbitral awards are valid under Mexican law. First, the award must be in writing and signed by the arbitrators, indicating the seat of the arbitration and the date on which it was signed. If there is more than one arbitrator, only the signature of the majority is necessary, as long as there is an indication of the reasons why the remaining arbitrators failed to sign. Second, the award must contain the reasons for the decision, unless the parties have agreed otherwise or have reached a settlement (article 1448 of the Commerce Code). There is no specific time frame established in Mexican law for the issuance of the award. Therefore, this will depend on the provisions of the applicable arbitration rules. The CAM Rules of Arbitration provide that the arbitral tribunal must render the award in a time limit of four months, starting from the date of the signature of the terms of reference. However, the secretary general may extend the time if necessary or if requested by the arbitral tribunal (article 31). three months to file a commercial action requesting the nullity of the award (article 1458 of the Commerce Code). Under Mexican law, there are no different types of awards. Any ruling issued by an arbitral tribunal must meet the same requirements (articles 1446, 1447 and 1448 of the Commerce Code). The arbitral tribunal may award any kind of relief requested by the parties, as long as it is within the scope of the arbitration agreement and its powers. In addition, if the parties execute a settlement agreement, they can request the arbitral tribunal to issue an award containing that agreement (article 1447 of the Commerce Code). The general rule is that the costs of arbitration must be paid by the unsuccessful party. However, if it considers it appropriate because of the specific circumstances of the case, the arbitral tribunal may divide the costs between the parties (article 1455 of the Commerce Code). Recoverable costs include the fees of the arbitrators, travel expenses incurred by them, fees charged by experts, travel expenses incurred by witnesses, the fees of the managing institution and, if approved by the arbitral tribunal, the costs and legal fees of the prevailing party (article 1416 of the Commerce Code). If the parties include interest and costs as part of their claims, the arbitral tribunal may award them. If no applicable rate has been agreed upon between the parties, Mexican law provides an annual mandatory interest rate of 6 per cent (article 362 of the Commerce Code). However, this mandatory interest rate will only apply if the rules governing the merits of the dispute are Mexican law. Under Mexican law, the parties may request the correction of calculations and typographical or other formal mistakes within the 30 days following the notice given to the parties of the issuance of the award. If the arbitral tribunal identifies the mistake on its own, it can make the correction on its own initiative. Also, the parties may request an interpretation of a specific point or section of the award. If the arbitral tribunal considers the request as justified, it will issue the interpretation within 30 days following the request. Such interpretation is considered part of the award (article 1450 of the Commerce Code). the award breaches public policy. Under Mexican law, arbitral awards are considered binding and final and, therefore, cannot be appealed. The only way to challenge an award is through a setting-aside proceeding before a local or federal court, which is limited to the specific causes provided in the Commerce Code. The judgment issued by the court in that setting-aside proceeding cannot be appealed; however, it can be challenged through an amparo claim. To recognise and enforce an arbitral award in Mexico, the interested party must file a request containing the arbitration agreement, the award and, if the award or the agreement to arbitrate is not in Spanish, a certified translation. The interested party must file a lawsuit before a local or federal court. If it meets the requirements referred to above, the judge summons the opposing party and grants it 15 days to submit an answer and offer evidence. Upon the expiration of such term, if the parties do not offer any evidence and if the judge does not consider it necessary, the parties are summoned to a pleadings hearing, which will take place within the following three days. If the parties file evidence or if the judge deems it necessary, the parties are granted a 10-day period to produce evidence (articles 1471 to 1476 of the Commerce Code). recognition or enforcement of the award would be contrary to public policy. The court has discretion whether to enforce an award despite the confirmation of one of the grounds mentioned. However, the authors do not know of any case in which a Mexican court decided to exercise this discretion. Courts tend to look favourably upon enforcing awards and have a pro-arbitration approach. There is no statutory law provision that would be applicable to this situation. However, it can be argued that under article 1079, section IV, of the Commerce Code (with relation to article 1391, section I), the enforcement of arbitral awards has a limitation period of three years. To the authors’ knowledge, no such case has been brought before Mexican courts. However, if an award has been set aside by the courts at the place of arbitration, the Mexican court may refuse to recognise and enforce it (article 1462 of the Commerce Code). The Commerce Code makes no distinction between orders issued by an arbitral tribunal or emergency arbitrators. Therefore, interim measures are enforced without regard as to whether they were obtained from an arbitral tribunal or an emergency arbitrator. The party interested in the enforcement of an award is not required to pay any costs or fees to the court. This is because, according to the Constitution, judicial proceedings must be free. In Mexico, discovery is not regulated. Considering it is not forbidden, parties could agree to include a document production stage in the proceeding. It is common to establish a stage for the production of documents using the IBA Rules on the Taking of Evidence as an important guideline. Written statements and testimonies from party officers are very common. There are no specific professional or ethical rules applicable to counsel in international arbitration in Mexico. In the past few years, Mexican practice has started to reflect the IBA Guidelines on Party Representation in International Arbitration; however, their use is not widespread. Although there is no specific provision regarding third-party funding in Mexican law, these kinds of agreements are not forbidden. Therefore, it is possible to execute third-party funding or risk-sharing agreements. Under the law regulating article 5 of the Constitution of Mexico City, only attorneys admitted to practise in Mexico may provide legal services on a regular basis. However, counsel to the parties and arbitrators may act and participate in proceedings in Mexico provided they do not do it on a regular basis. There is no definition of what ‘regular basis’ signifies, and courts have not issued a criterion in this regard. Mexico, Canada and the United States have ended negotiations to substitute NAFTA with a new free trade agreement treaty, including investor-state protection. The result was USMCA. However, at this point in time, NAFTA remains in force. In addition, Mexico recently signed the ICSID Convention. To the authors’ knowledge, there are currently only five pending cases under the ICSID Additional Facility Rules against Mexico: Deana Anthone, Neil Ayervais, Douglas Black and others v United Mexican States; Lion Mexico Consolidated LP v United Mexican States; Telefónica, SA v United Mexican States; Vento Motorcycles, Inc v United Mexican States; and Eutelsat SA v United Mexican States. Anthone deals with claims under NAFTA arising out of the government’s alleged unlawful interference with the claimants’ casino business in Mexico, including raids on facilities, seizure of equipment and bank account funds, closure of facilities and invalidation of a gaming permit. Lion Mexico concerns an investment in a real estate project protected under NAFTA. Telefónica concerns an investment in telecommunications services protected under the BIT entered into by Spain and Mexico in 2006. Vento concerns a claim under NAFTA against the establishment of a 30 per cent import duty on motorcycles. Finally, Eutelsat deals with a claim under a Mexico-France BIT against a regulatory requirement reserving a certain amount of megahertz of satellite per company for government use. Also, there are two investment arbitration cases against Mexico pending under the UNCITRAL Rules. The first was initiated by Shanara Maritime International, SA and Marfield Ltd Inc (Panama), and arose from precautionary injunction measures imposed by Mexico’s attorney general on two vessels. The second was initiated by private investors from the United States under NAFTA regarding acts of the government that allegedly rendered their company in Mexico, Tele Fácil México SA de CV, commercially unviable by denying it access to the Mexican telecommunications market. Offering excellence and integrity, Von Wobeser y Sierra S.C. was founded in 1986 and is one of the foremost Mexican law firms that offers full-service legal solutions. The Firm is composed of more than 35 different practice areas including specialized desks with a strong roster of international and national clients.